Many music students believe that if they can get through a piece in practice, they should necessarily be able to perform the piece on stage. Then, when they become undermined by nervousness, they conclude that their performance problems must be caused by psychological issues unrelated to their practice. Often, though, that’s a questionable conclusion. I’ve learned that college and pre-college students rarely learn their music in ways that enable them to perform soulfully under pressure. Rather, when most students practice, they implant muscle memory and develop scant awareness of the inner workings of a piece. But such automated, shallow learning depends on automated recall, which readily breaks down under stressful conditions. When faced with high-stakes performance situations, shallow practicers rightfully become skittish because they can’t be sure that their control will hold up. We veteran performers reject superficial learning schemes. 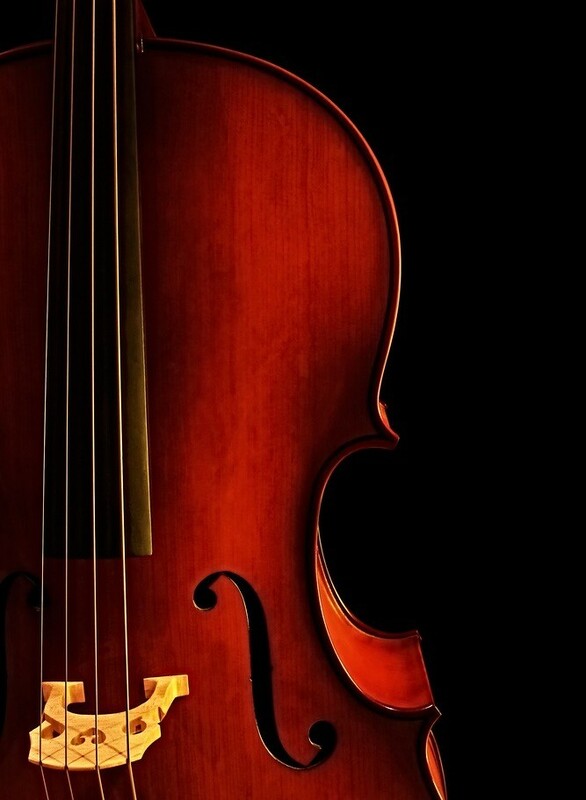 We learn our music via mindful processes that enable us to perform securely no matter how high the pressure climbs. I call this type of learning and preparation deep practice. We image ahead to direct our music making with soulful awareness. We create an interpretive-technical map of a composition that’s so clear that we can artfully navigate the musical landscape without fear of breakdown. Of course, our level of on-stage confidence is also affected by psychological and other components. We have to possess inner strength, for instance, adopt positive attitudes toward performing, master backstage and on-stage techniques, and know how to channel fight-or-flight responses. I label these abilities ‘performance skills,’ and they need to be practiced too. Ultimately, though, with our material deeply learned and our performance skills in place, the energy of performing can propel us to new heights of creativity. 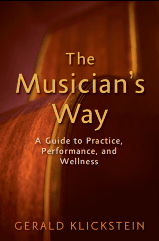 See Parts I & II of The Musician’s Way for in-depth explorations of practice and performance. Related posts can be found in the Music Practice category. Did your teachers guide you to practice deeply? One of my biggest frustrations as a teacher is the number of students who will not use deep practice approach even when I demonstrate and take them through the steps — with good results– in lessons. Hi Ann – I understand where you’re coming from! I imagine that all of us find that some of our students who get fantastic results when we guide their practice in lessons don’t employ comparably effective habits when they practice alone. Over time, I’ve developed the ability to feel compassion for such students instead of letting myself become frustrated. With a compassionate approach, I can be patient and continue to encourage students. Whether it takes months or years, I stay positive. Hi Steve – Thanks so much for sharing your story and joining the MusiciansWay community. I think that if you can avoid viewing your past habits negatively but instead do what you can from here on to make soulful progress, then the journey you’re undertaking will be rewarding no matter how far your playing skills advance. Hello Gerald. Where to start. My dreams are bigger than my efforts. I have about 15 years playing experience, the last 6 focusing on fingerstyle guitar. I had no idea what a big chunk I chose to bite off and chew until I dove in. No cheating, no bad habits. I just purchased the e-version of your book as, I guess a last ditch effort to salvage my playing. I am already reading about my bad practice habits/structure/planning and am indeed ready for battle. I am 58 years old and it feels like now or never. My goal is simply excellent solo guitar. I am looking forward to chewing on the book and all the other resources on line as well. I realize the structure of practice and motivation are my primary obstacles. I understand and believe I have the talent to do this and sincerely hope your book helps me. Excellent point, G. I suppose that we all want to believe that we imprint less than we actually do. Your strategy makes sense to me and reflects admirable self-awareness on your part. We musicians can learn from your example – that is, we can insist on emphasizing habits that lead to better musicianship rather than feeling forced to compromise our artistic integrity. It seems to me that my muscles actually learn pieces of music far faster than I expect, and as a result I find that the mechanical mistakes I make on my first-reading are very often the hardest performance-error habits to break. Does anyone else find this? For lack of a better strategy, to counter this I’m experimenting with quietly avoiding the more difficult passages on our first-readings, just watching my part go by in hopes the concertmaster doesn’t get too upset, then add those in once I’ve understood their place and structure. Thank you, Steve. Please let me know how the book strikes you. This is a very good post – I’m getting your book. Thanks. Hi Mike, thanks for the comment. Yes, the details are in the book – this post just presents an overview, but added pointers can be found in my posts “Learning new material” and “Solving problems in practice.” When it comes to whether deep practice is taught in lessons and classes, I’ve found the same as you – it seldom is. And researchers are discovering as much when they survey students and observe lessons and practice sessions (see the references in The Musician’s Way). Note to readers: for valuable practice tips, check out Mike’s site http://www.HowToPractice.com. I like the tone and direction of this article and think possibly there is much of benefit in what you say. However I’m left feeling a bit short on information when reading this. You explain clearly some of the issues that arise in performance and then some broad concepts to rectify these. I do think what is missing is any real detail on how to address the issues. You touch very lightly on what the process of ‘Deep Practice’ involves without offering any specifics. Are these details perhaps in the book? Concepts are fine but tangible directions would be more useful to the more inexperienced performer. I believe this is one of the fundamental problems in instrumental education, teachers do not teach practice. I believe that because many teachers teach the way they were taught that practice is pushed aside in favour of repertoire and technique. I also believe that many teachers have not themselves considered the practice process deeply and are therefore unable to offer much assistance in this area – it’s only discussed when it hasn’t been done. Though not a scientific study I have taught widely over the past 20 years at all levels and have yet to be convinced that anything other than the above is true.